Father Juan Pedro Roblez, was ordained on June 24, 2017. On June 25, he returned to his home parishes here in the U.S., Ss. Peter and Paul Parish in Independence and Holy Family Parish in Arcadia to celebrate his first Masses as a priest. He will also soon return to Mexico City to celebrate Mass with his extended family. He is the son of Jose Roblez and Luisa Baltazar, grew up in Mexico and is one of six children, and was the first of his family to leave home. At age 14, he entered seminary to explore the priesthood, completed his formation in Mexico City, and spent 15 years in the Archdiocese of Guadalajara. When he moved to the Diocese of La Crosse, he served at parishes in Wausau, Marshfield and Independence, where he was able to practice English and became acquainted with the people of Wisconsin. 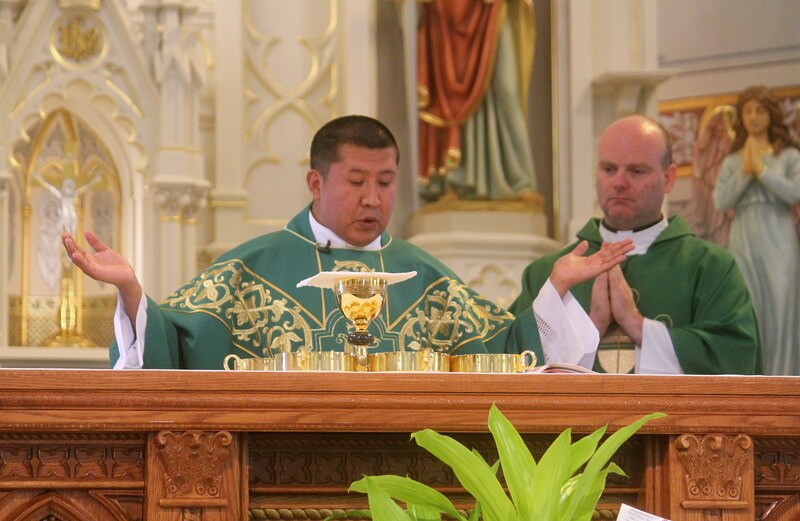 As a newly ordained priest, he will serve as the Associate Pastor of St. Patrick Parish in Sparta and St. John the Baptist Parish in Summit Ridge.